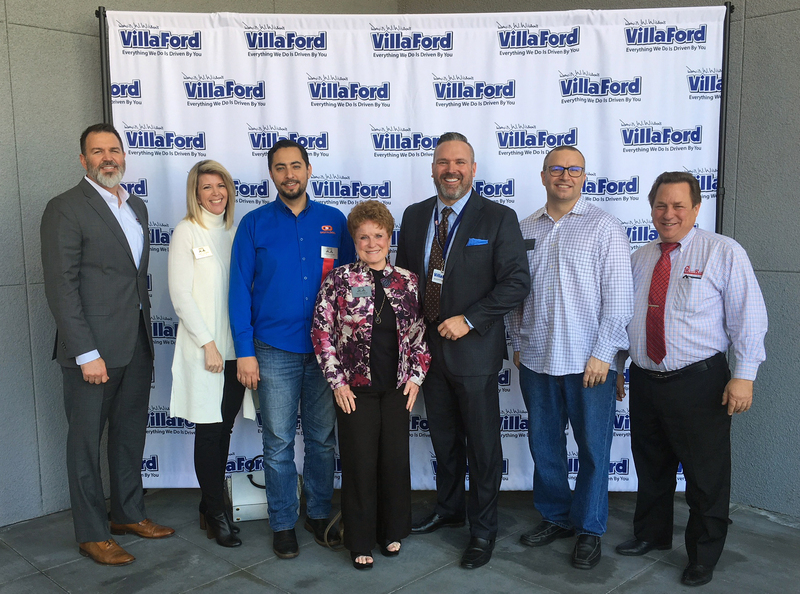 A brand new blue ribbon was cut as celebrations began for the grand re-opening of Villa Ford. Owner David Wilson, City officials, Ford representatives and even the Orange Chamber of Commerce were in attendance to witness this great event. 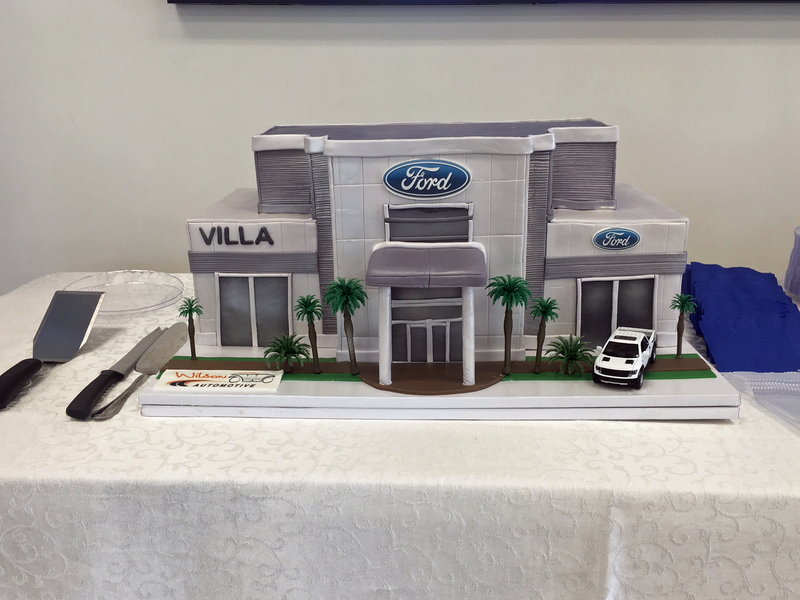 Creative Cakes modeled a vanilla and strawberry cake after the brand new state-of-the-art facility – and it was just as delicious as it looked. 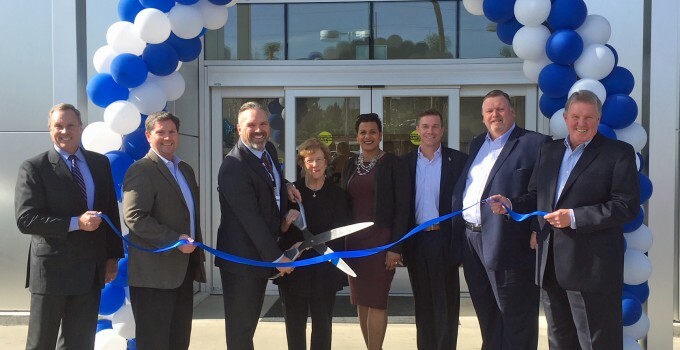 Though general manager Scott Wade says there is still more he would like to do to the dealership, he is very proud of the completely redesigned interior and exterior. Updated artwork and digital enhancements improve the customer waiting areas; and the service drive was also reconstructed. 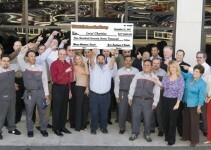 Scott says the object of the entire project was to enhance the overall sales and service experience of valued Villa Ford customers.